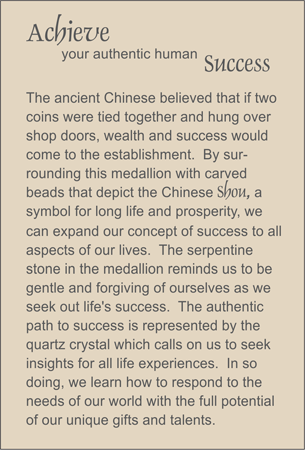 MEDALLION: Celadon color new jade hand carved medallion depicting two interlocking coins as the symbol for prosperity. COMMENTS: Great for career promotions and business gifts. See all the sentiments related to Success by scrolling down.